Have you ever seen a sea turtle out in it’s natural environment? Not on a TV monitor or movie screen, but in the ocean? As a scuba diver and snorkeler I often say that being under the water is the closest you’ll get to God (or whatever higher being you believe in) on earth. If you’re lucky enough to see a sea turtle swim by ever so gracefully, you’ll know what I mean. They’re truly breathtaking. When we were planning our trip to the Florida Keys, we knew we had to visit The Turtle Hospital in Marathon, Florida. The Turtle Hospital is run out of an old hotel and was established in 1986. Since then they have saved countless turtles that are usually, but not always, injured by human influences. 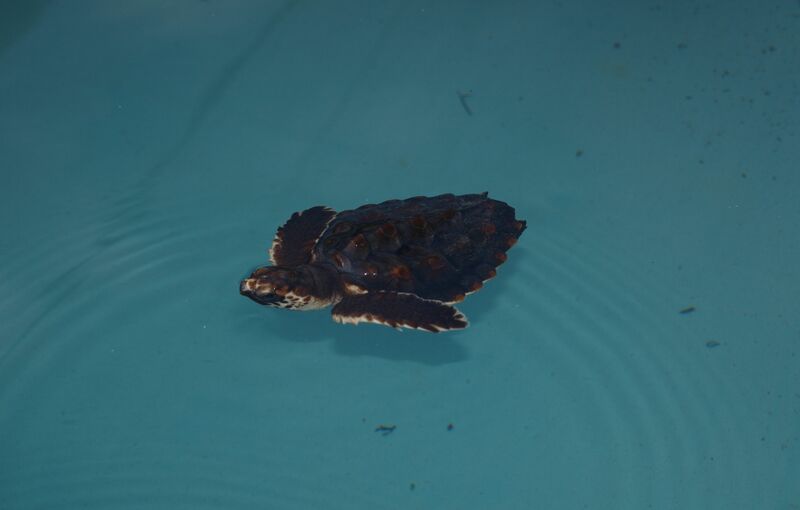 All turtles rescued are called into the hospital by residents of The Keys. 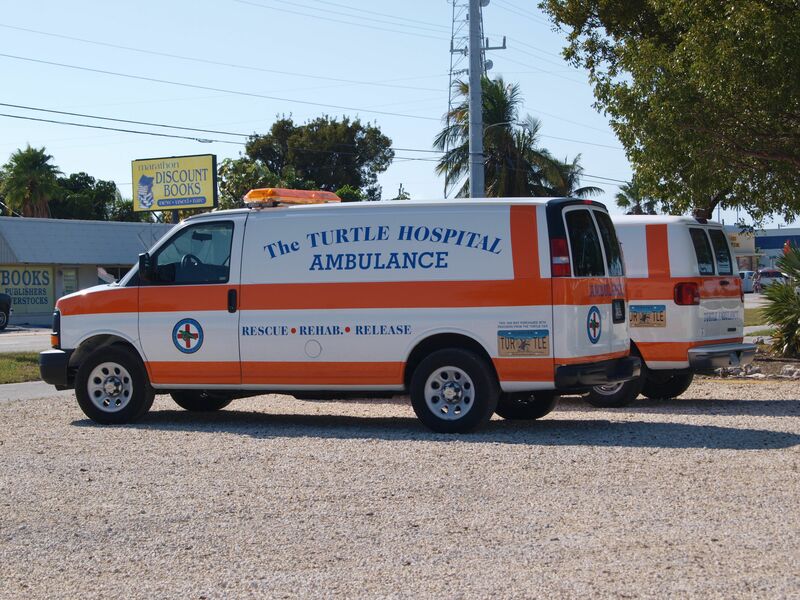 A turtle ambulance is then rushed to the scene and employees of the hospital bring it back for medical attention. The most common ailment is impaction. 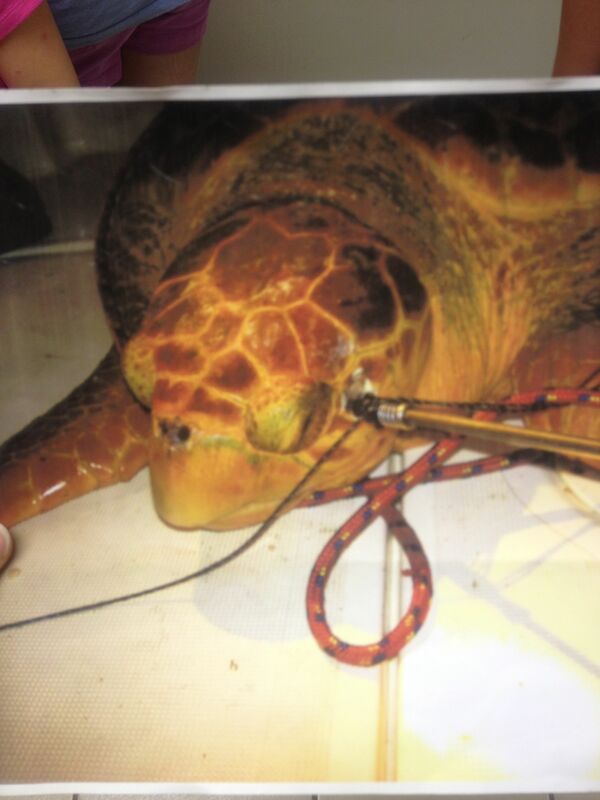 This is when the turtle has ingested something it can’t properly digest (plastic, fishing line) and it causes stoppage in their intestinal tract. This then causes the turtle to float, where it is now susceptible to being hit by a boat or grabbed by a predator. The tour of the facility takes about 90 minutes and it’s worth every second. Expect your emotions to run the gamut from sad to angry to hopeful. When I saw this picture of how one of the sea turtles arrived at the hospital, I wanted to hunt down the spear fisherman. Grrrr. Thankfully, this turtle survived. When I saw this little, itty bitty, baby turtle I wanted to crawl in the tank and cuddle with it. How does one cuddle with a turtle anyway? Awwwwww. 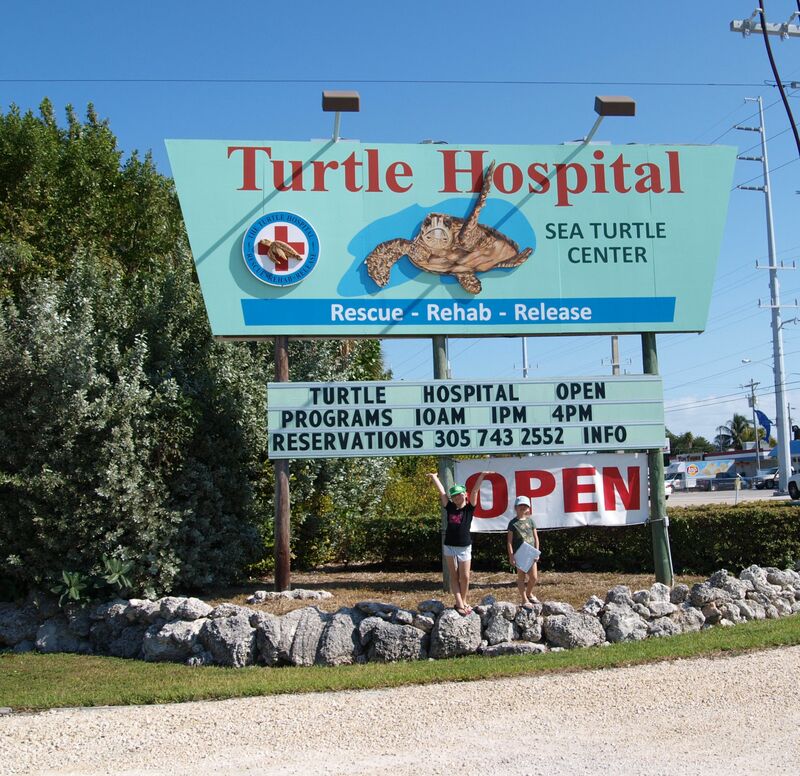 If you’re planning a trip to The Florida Keys, make sure you work in a stop to The Turtle Hospital. Reservations are highly recommended. If you can’t make it there quite yet, consider adopting a sea turtle who stays permanently at their facility. We left The Turtle Hospital, with t-shirts and necklaces, the proceeds of which will help the non-profit hospital keep going. But we also left with a renewed commitment to our environment and a profound respect for these gentle creatures. My girls are now full-fledged sea turtle protectors. I may need to sew them capes. Thanks for the tip.. I’m on my way down later this month! Exciting. We’ll be back in March. Have fun and make sure you stop here. Definitely worth it.